Wow! Andrew Szydlo’s talk appears to be going ‘viral’. In less than a week since publishing it’s flown past 250,000 views and over 17,000 likes on YouTube. Yay Chemistry! In his talk, Andrew aims to promote chemistry as the science of remarkable changes, which are often overlooked yet so important in our everyday life. And he does it brilliantly by performing an incredible series of 25 experiments in 15 minutes, totally amazing the audience (who rewards him with a long and deserved standing ovation)! Andrew Z. Szydło is an internationally acclaimed chemistry teacher. But he’s definitely not the typical chemistry teacher you would expect… He holds a PhD in the History and Philosophy of Science from UCL, and is an expert on the history of alchemy (his 1994 book ‘Water Which Does Not Wet Hands’ is considered to be the standard reference work on the Polish alchemist Michael Sendivogius.) But his polymath spirit extends further: he’s a violin, bugle and accordion player, as well as a professional photographer. 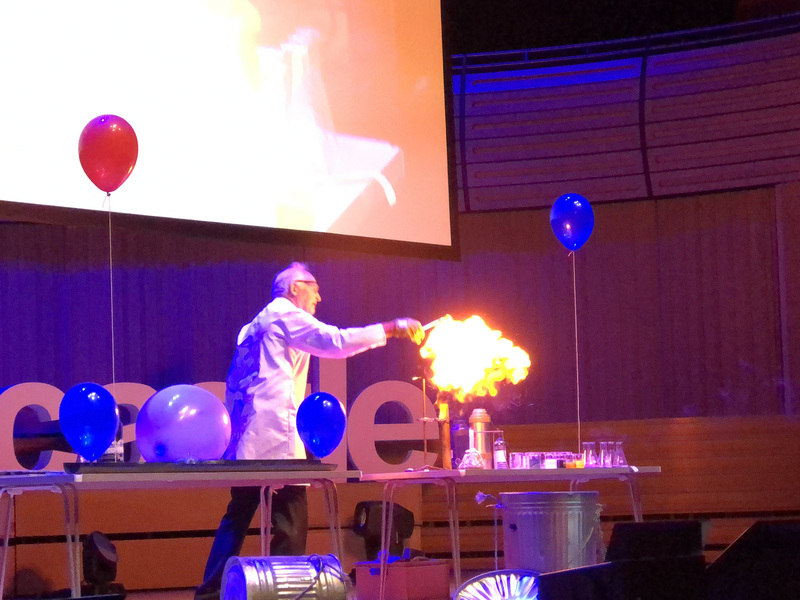 Throughout the years Andrew has wowed audiences all around the world with his pyrotechnical approach to teaching and demonstrating chemical sciences on stage and has appeared many times on TV. This talk was given at a TEDx event using the TED conference format but independently organized by a local community.